Before 1939 there was no universal code of sporting ethics to guide ocean anglers in their pursuits. Some rules pertaining to sporting conduct were in effect at certain well-established fishing clubs but they varied according to the dictates of each club. The idea of a worldwide association of marine anglers had been brewing for some time in England, Australia, and the United States, and the first steps in this direction were taken in the late 1930’s by members of the British Tunny Club who hoped to establish headquarters in England to formulate rules for ethical angling. The threat of war, however, interrupted their plans. Before 1939 there was no universal code of sporting ethics to guide ocean anglers in their pursuit. At that same time, Michael Lerner was organizing a fishing expedition to the waters of Australia and New Zealand in conjunction with the American Museum of Natural History in New York. He heard of the British Tunny Club’s plans, and when he arrived in Australia he looked up one of the country’s finest anglers, Clive Firth, to discuss the idea with him. Firth was well aware of the angling feats of Californians, Floridians, Long Islanders and others. He felt that England and her colonies would accept American judgement as sporting and impartial, and that Americans should be the ones to devise and administer these ethical angling rules. Dr. William King Gregory, head of the Departments of Ichthyology and Comparative Anatomy at the American Museum of Natural History, also was a member of the Australia-New Zealand expedition. He was particularly enthusiastic about the idea of a worldwide sportfishing association headquartered in the United States, and immediately suggested that it might be possible to affiliate such an organization with the Museum. His interest in such an association and the information it could provide to scientists was the beginning of the IGFA’s lasting connection with scientists and scientific institutions. Another immediate task was to notify scientific institutions and fishing clubs throughout the world about the IGFA, its activities and intentions. By January 1940, only a few months after that first meeting, there were two associated scientific institutions, 10 member clubs, and 12 overseas representatives. By 1948, the numbers had grown to 10 scientific institutions, 80 member clubs, and IGFA representatives in 41 areas of the world. 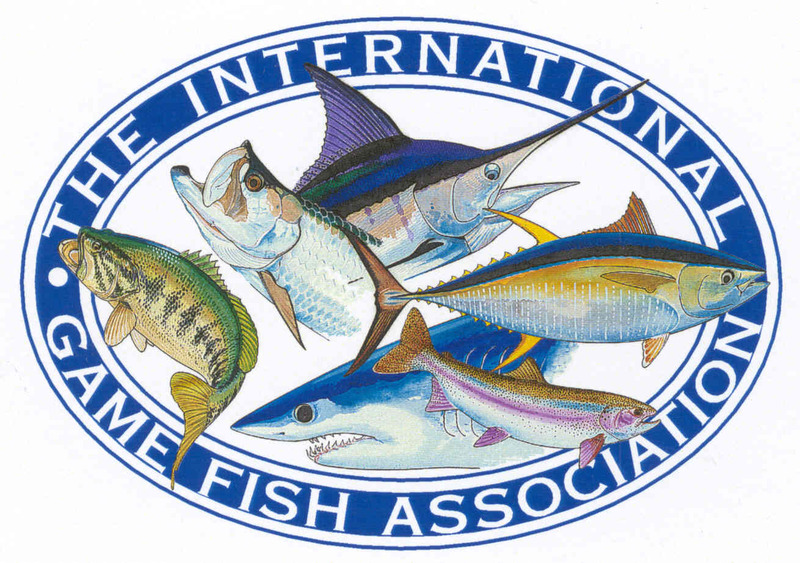 Clive Firth of Australia was elected the IGFA’s first overseas representative, and others were chosen in Nigeria, New Zealand, Bermuda, the Bahamas, Chile, Costa Rica, the Canal Zone, Cuba, Hawaii, Mexico and Puerto Rico. Among the first associated clubs were the Catalina Tuna Club, Miami Beach Rod and Reel Club, Cape Breton Big Game Anglers Association, Long Island Tuna Club, Atlantic City Tuna Club, Freeport Tuna Club, and Beach Haven Tuna Club. Keep Us Posted! Tight Lines!